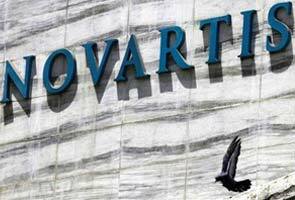 In a recent article written by Bernard Vaughan and Jonathan Stempel entitled: U.S. sues Novartis, alleging kickbacks to pharmacies, Reuters reported that US government accuses Novartis Pharmaceuticals Corp. of paying kickbacks to pharmacies to switch kidney transplant patients from competitors’ drugs to its own and to oppose the use of a cheaper, generic immunosuppressant drug. Since 2005 at least 20 pharmacies have got illicit payments from Novaris AG, a Swiss drug maker, to push up sales of its immunosuppressant drug Myfortic, said U.S. Attorney Preet Bharara. As the kickbacks were disguised as rebates and discounts, Novartis tried to defend itself, omitting the agreements with pharmacies. The government said, Novartis impelled one pharmacist in Los Angeles to switch about 1,000 transplant patients to Myfortic, offering him several hundred thousand dollars. “Novartis co-opted the independence of certain pharmacists and turned them into salespeople,” said attorney Preet Bharara . The civil health care fraud lawsuit, filed against Novartis in U.S. District Court in Manhattan on Tuesday, seeks civil damages and penalties from the company for violating the federal False Claims Act. Novartis’s actions were so successful, that they got from the public tens of millions of dollars for drugs distributed by pharmacists – Novartis accessories. According to Novartis’ annual report, Myfortic net sales jumped up 12 % in comparison with the last year. In 2010, Novartis Pharmaceuticals Corporation agreed to pay $422.5 million to resolve criminal and civil liability arising from the illegal marketing of certain pharmaceutical products. The government stated that Novartis violated the federal anti-kickback statute prohibiting the offer or payment of rebates and other inducements to cause the purchase of any drug or service covered by Medicare, Medicaid or other healthcare program. As stated by FBI Assistant Director Ronald Hosko, these types of cases “are one of the highest priorities of the FBI’s health care fraud program”. 2012 Health Care Fraud Report shows that for every dollar spent on health care-related fraud and abuse investigations in the last three years, the government recovered $7.90. This is the highest three-year average return on investment in the 16-year history of the Health Care Fraud and Abuse (HCFAC) Program. The government’s health care fraud prevention and enforcement efforts recovered a record $4.2 billion in taxpayer dollars in 2012, up from nearly $4.1 billion in 2011, from individuals and companies who attempted to defraud federal health programs. This entry was posted in Business Finance, Criminal, Criminal Fraud, Government, HealthCare & Insurance, Medicaid, Medicare, Money Laundering, Uncategorized and tagged 2012 Health Care Fraud Report, civil damages, civil health care fraud lawsuit, civil liability, Criminal, damages and penalties, False Claims Act, FBI, federal anti-kickback statute, fraud charges, HCFAC, Health, Health Care, Health Care Fraud and Abuse Program, health care fraud program, health care-related fraud, healthcare program, hundred thousand dollars, illegal marketing, immunosuppressant drug, in comparison with the last year, kickbacks, kidney transplant patients, Manipulation, marketing, Medicaid, Medicare, Myfortic, novartis, novartis pharmaceuticals corp, Novartis' annual report, paying kickbacks, pharmaceutical products, pharmaceuticals, pharmacist in Los Angeles, rebates and discounts, repeat offender, Reuters, Sales Force, tens of millions of dollars, to defraud federal health programs, U.S. Attorney Preet Bharara, U.S. District Court in Manhattan, U.S. Government by Anna Potacevscaia. Bookmark the permalink.